Having travelled and fallen in love with Thailand, its culture and particularly its food, in 2011, we started out as a small restaurant/take away in the heart of West Vale. Today we still serve the amazing quality food that we always have, in a beautiful surroundings, complete with a wonderful bar serving up cocktails, G&Ts and authentic Thai beverages. Due to the unbelievable response from the community and beyond, it became apparent that we needed to grow again. In 2016, we opened our newest venture; Café Thai Tapas. 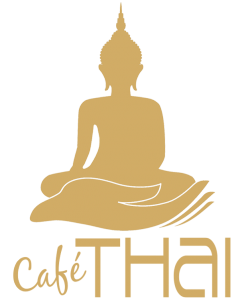 We wanted to offer the different experience of Thai cuisine, maintaining our authentic Thai food with a modern twist. The growth and development of Café Thai is a testament of our dedicated team and most of all to our brilliant and loyal clientes who we would truly like to thank from our heart. Above Cafe Thai, you'll find Thai Tapas - our new restaurant serving small plates of Thai happiness. 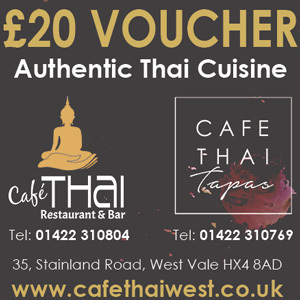 Give the gift of an evening out with Cafe Thai & Thai Tapas. Click below to buy vouchers for either venue. Don’t forget, gift vouchers are available at our venues! They make the perfect special gift for Christmas!